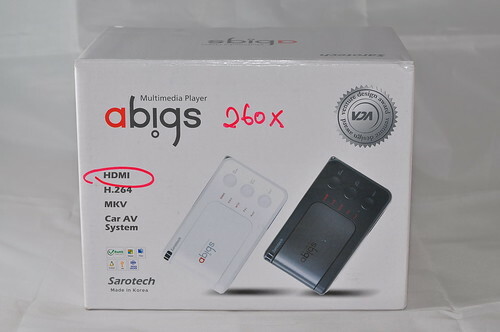 Sarotech Abigs DVP-260X : True HD Portability? You can’t have your cake and eat it too, but than maybe you can! I wish when i am stuck in the traffic jam (when i am not driving) or in a hotel room and I need to continue watching last week episode of Battlestar galactica (watching on notebooks doesn’t count), however being that we need to travel light or the car has only a dvd player, you just got to face the traffic listening to hit fm on the radio or recycle old movies in the hotel room. I am not going to bring my Dvico 6500A along with me everywhere i go, although its form factor is still small, its still a overgrown unit. 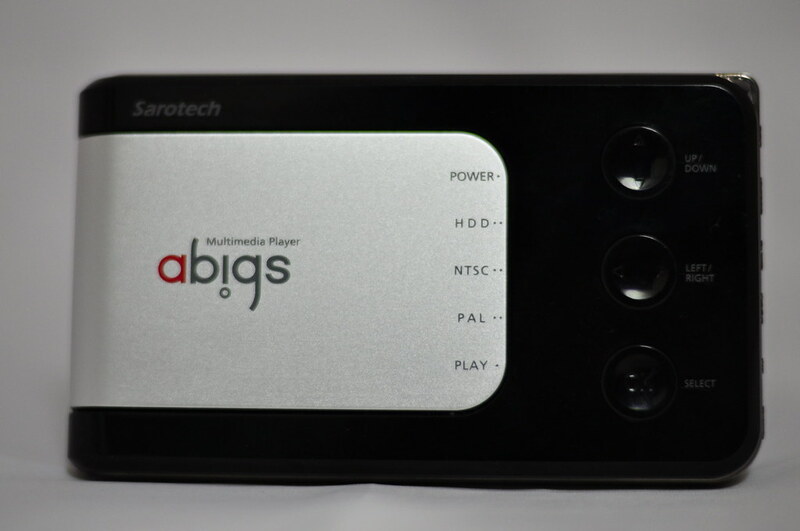 Well Dvico and Sarotech has released for sometime now, a small media tank player which is able to do what the big boys can. However none of them, were able to play FullHD mkv files till now, and that what this review is about, the new Sarotech DVP-260X players. I have already used the old series of Sarotech DVP-260S, which was a major pain. Some of misgivings were hard to manage menu system, Long files names are truncated, Not able to fast forward or rewind and some files weren’t able to run. However apart from dvico mini C-2000U Lite, which I also have used before, there weren’t much solution out there for ultimate portability, so they were still a good buy. Here hoping the new player comes out trumps on the old player. First off the new player finishing and outlook is much nicer than the old players. Makes the player looks expensive. The player does feel solidly build and heavier too.